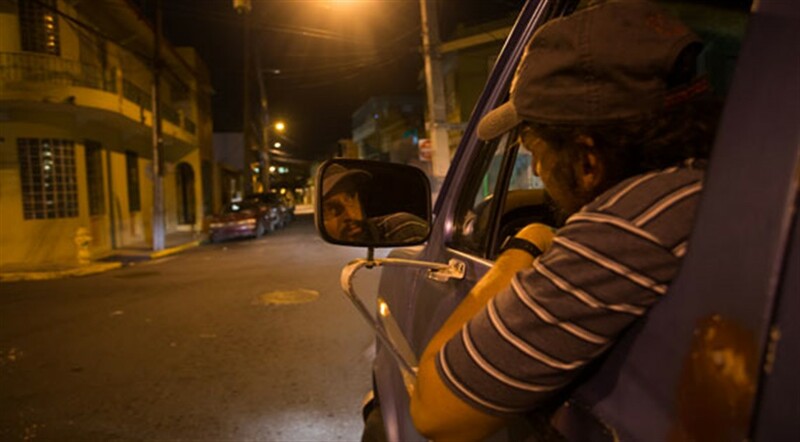 Together with his sister Carmen, Rafael is part of a human trafficking network that helps move fortune seekers to Puerto Rico. Regional refugees from the poverty-stricken Dominican Republic, but also illegal migrants from faraway Africa, are temporarily given food and shelter at Rafael’s aging mother’s home. The well-oiled machine is thrown out of whack when Carmen dies suddenly. Rafael doesn’t have the time to mourn because life goes on. Full boats arrive, phones keep ringing and Rafael’s teenage daughter needs attention too. Puerto Rico’s beautiful landscapes contrast markedly with the tragedies of human trafficking victims.